1) Material: 0.55mm PVC tarpaulin. 2) Stitching: Double stitching & quadruple stitching. 3) Printing: digital print, silk print, or hand painting. 4) Blower: CE (220V, 50HZ) or UL (110V, 60HZ), plug can be customized. 5) Accessories: Repair kit (2pcs PVC tarpaulin material for each color ; 1pc glue). 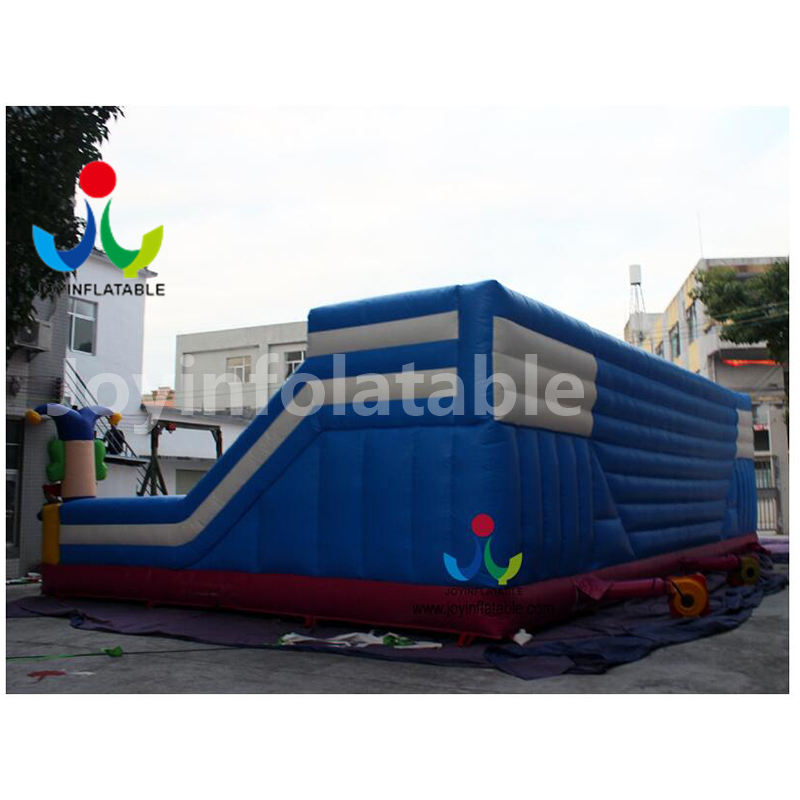 This inflatable fun city is for kids to fun,its size is 12*8m,it means 12m lenght,8m width. This inflatable fun city is sewing workmanship nees the blower inflate all the time. 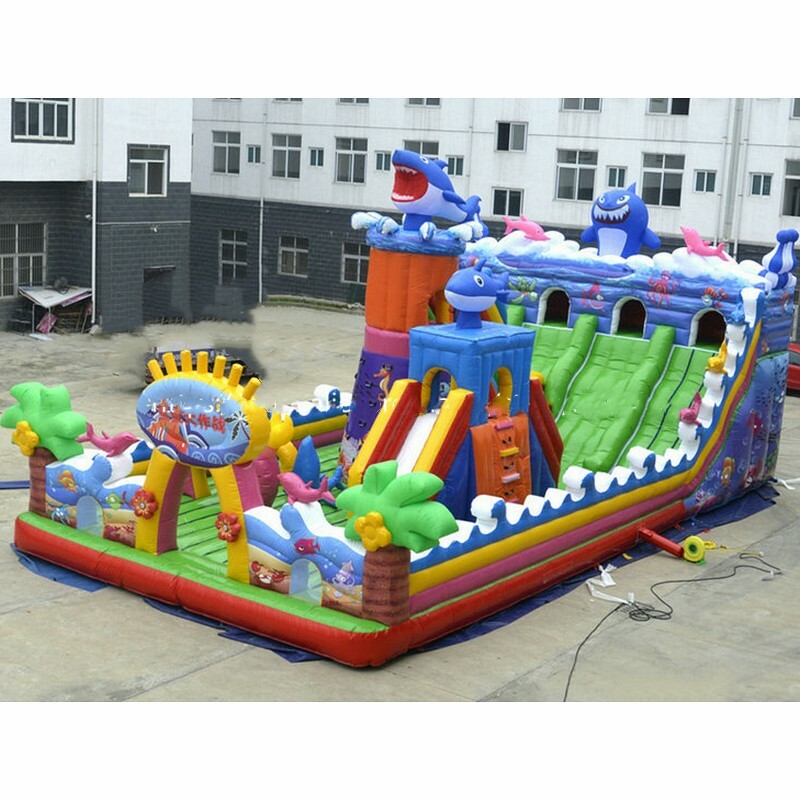 This inflatable fun city is very heavy so we suggest you choose shipping by sea,that will be better. 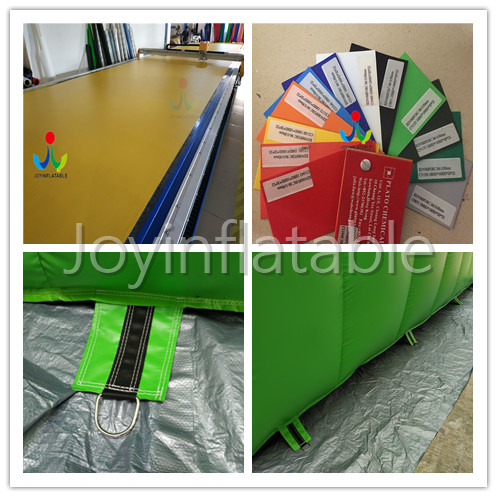 Inflatable toys is a children’s favorite play toys, it designed according to children’s features, through scientific perspective combined to form a set of recreational, sports, educational, health and other functions children’s entertainment center. It is a new, highly comprehensive children’s playground, it is aimed at children like drilling, climbing, sliding, rolling, shake, swing, jump, shake and other nature designs. （1） Integrity. We are integrity, promised to do, can not do not promise. （2）Safety. 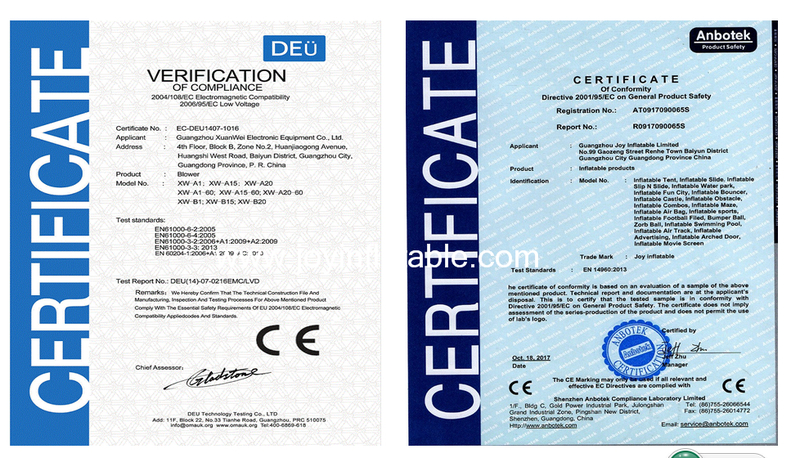 Product safety is very important, to ensure that the safety of our products is an important quality inspection standards . Safety elements from the product selection, design, production, packaging, every detail is very important. Our materials comply with EN71 standards, our products comply with EN14960 standard. （3） High-quality, high standards. The use of product materials, waterproof, flame retardant, durable, in accordance with EN14960 standard . （4） Satisfactory service. We provide customers with the best services and solutions, all e-mail or fax within 24 hours of response; we always confirm with the customer, always let customers know the real situation. （5）Delivery. 95% of our guarantee delivery, when encountered can’t be delivered in time, will communicate with customers in advance. All the accessories including blower, repair kits, glue and PVC bags for packaging are free. 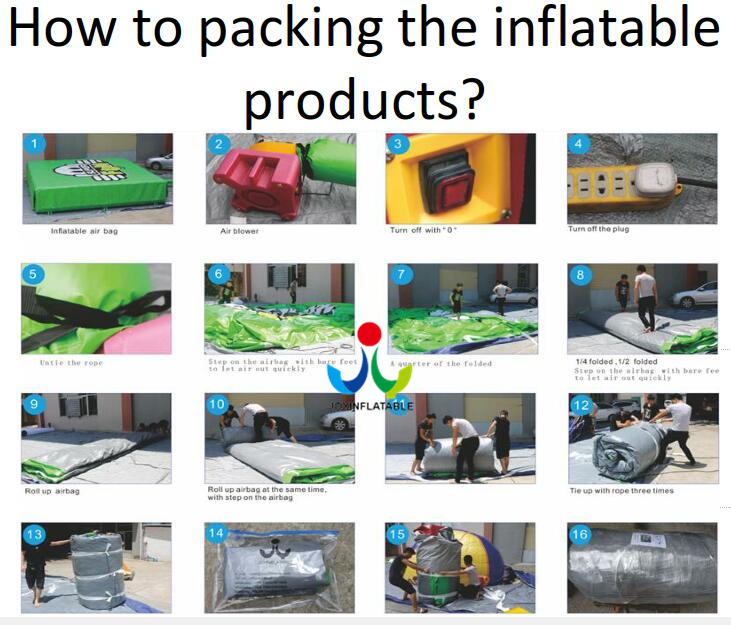 1.Design:As a professional supplier of inflatable products, and holding lots of professional and experienced designers in our team,we have been providing our customers best customized service from start to finish. 2.Color:We offer a variety of color options with no color deviation. 4.Printing:we adopt the best binding digital printing machine imported to cover a thin membrane on printings keeping the printing products more beautiful and attractive to assure the quality passed the SGS test and lead -free . 5.D-rings:products equipped with D-shaped or circular deduction to a fixed product. is a set design,production,marketing,service as one of the very strength of enterprises.Our company was founded in 2002,more than 10 years recruitment of talented people,there is a high,refined,professional team with the famous gas-product designers,artists,etc.Super quamnet printing and frist-class professional design,production,chic modelling,image is clear and complete products. 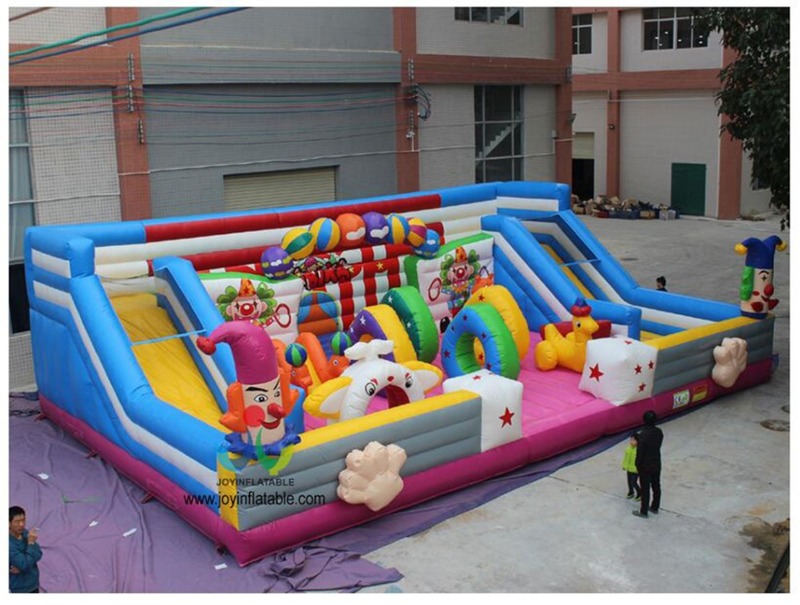 Our products sell well in overseas,now,there are a lot of company over more than 40 countries were ordering our products,such as the United States,Japan,France,Germany,New Zealand,Australia,Saudi arabia and the Annual sales in the industry.Mainly include all kids of products such as lift-off balloon,fall to earth,large inflatable amusement facilities,water recreation facilities,entertainment,castle,large slide,trampoline,obstacle,large inflatable,inflatable arch,cartoon inflatable,inflatable model,air dancers,folding tent,etc. 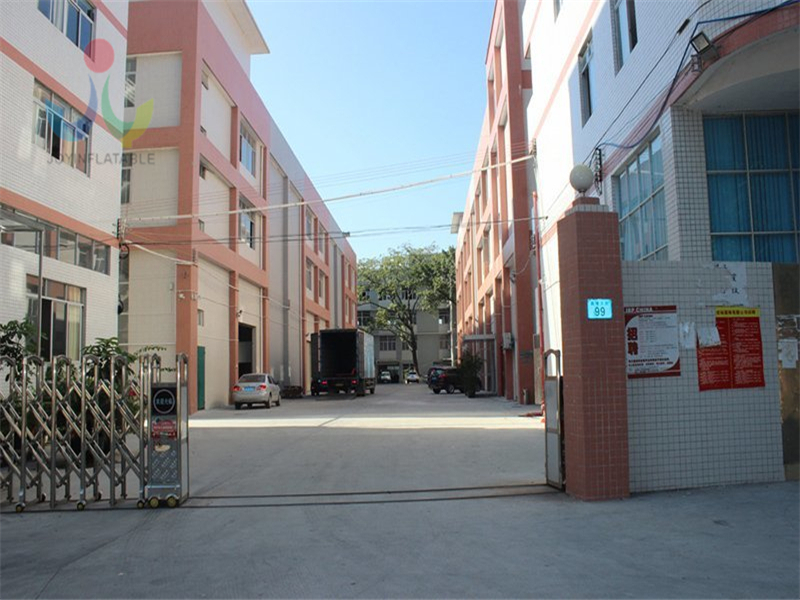 Company adopts strengthen encryption oxford cloth,pecomposite film,PVC materials and other domestic high-quality materials.Anhere to the "Based on sincerity,strives for the survival by the quality,take the customer as god" the purpose of win the market,to provide you with the best quality inflatable products.